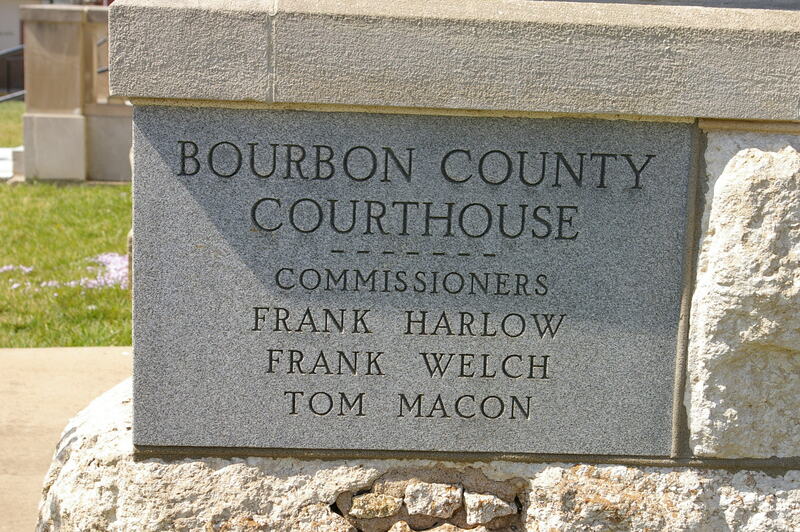 Bourbon County is named for the Bourbon County in Kentucky which was named in honor of the Bourbon dynasty of France. 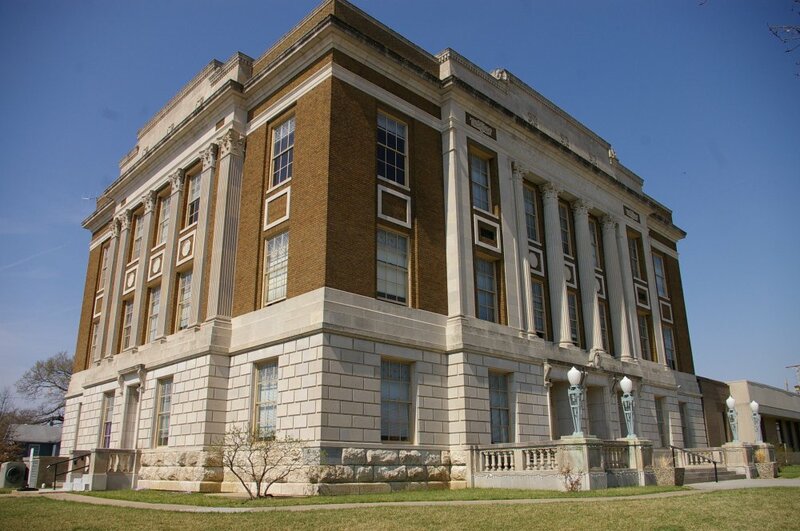 Description: The building faces east and is a three story brown colored brick and stone structure. 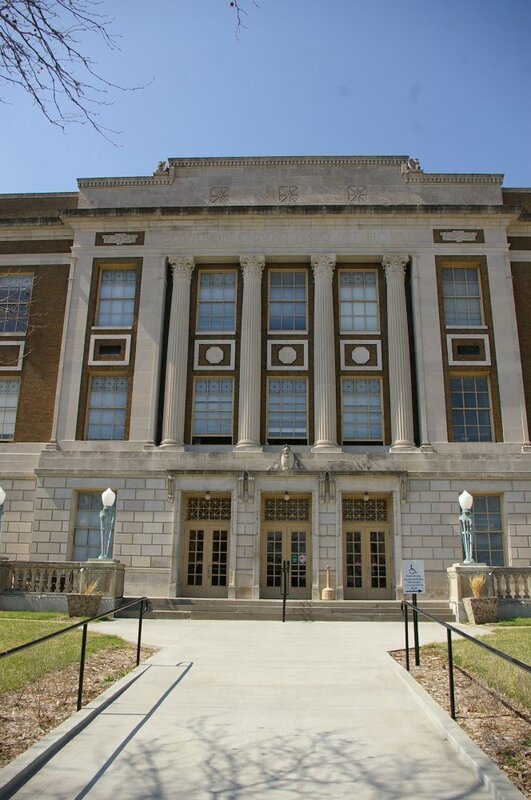 The east front has three rectangular doorways with stone facing on the first story. Four columns rise from the second story to the top of the third story dividing the recessed windows. Above is a wide header. A projecting cornice runs along the roof line. 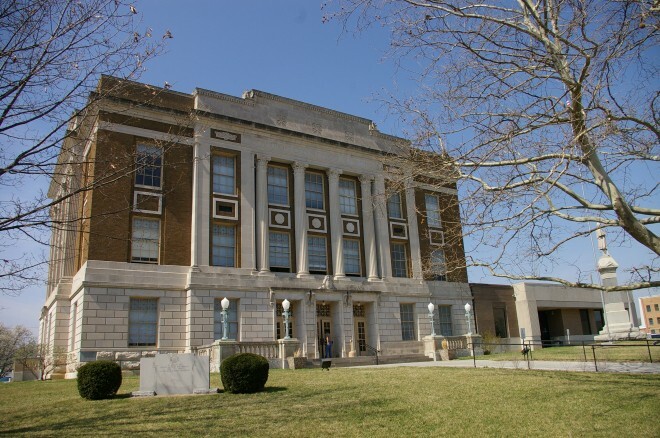 On the north side is a one story annex. 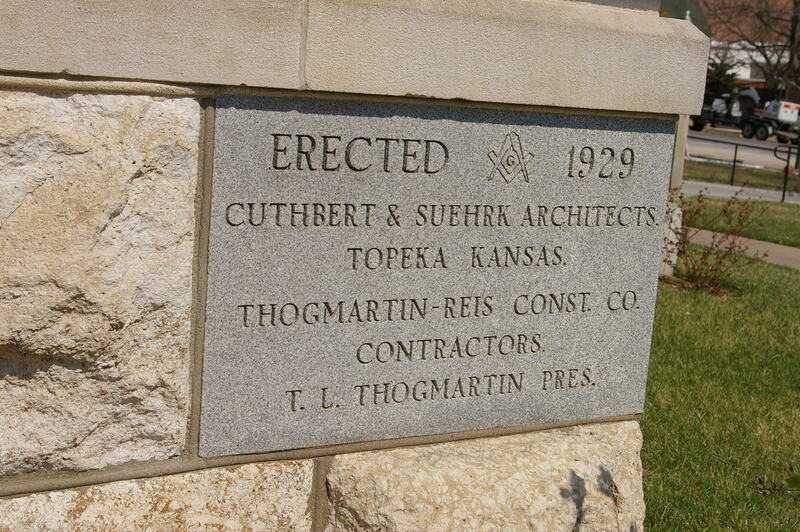 See: The architect, Cuthbert & Suehrk of Topeka, designed courthouses in Montgomery County and Norton County. 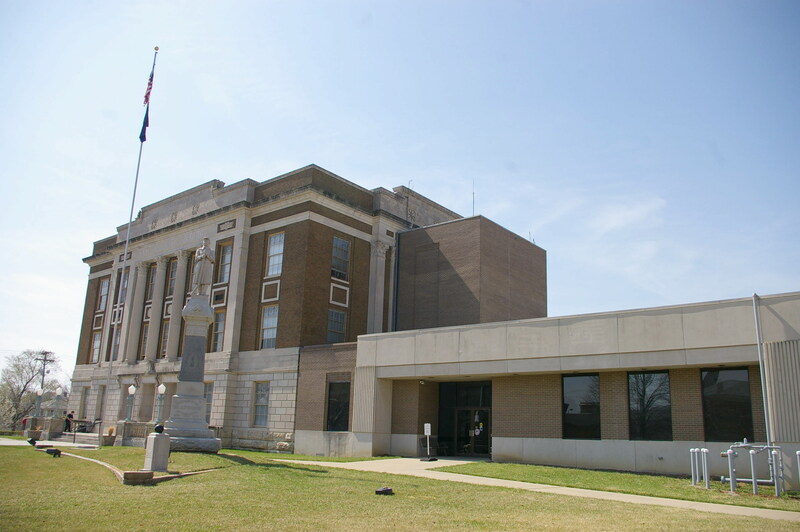 Note: The previous courthouse was built in 1887 and was destroyed by fire in 1929.